As the annual #YNaijaPowerList enters its 4th year, we bring you the most influential young Nigerians under 40 who are navigating the increasingly lucrative world of fashion and style, building empires and creating structures. When it comes to the business of looking good, these are the guys who get things done. From creative stylists to fashion designers, fabulous entrepreneurs to tenacious show runners, this class of 2015 have proved themselves unstoppable. Daughter of a former Nigerian international, Disu is an international publicist and founder of Adiree, a New York-based communications and brand strategy company which launched the annual African Fashion Week in New York 5 years ago. AFW is one of the most popular international African focused fashion events that seeks to promote international economic partnerships from Africa on a global scale. Disu was named one of Forbes magazine’s 20 youngest power women on the continent. When you are talking make up, better be talking Banke Meshida-Lawal. This makeup artiste of choice to the stars and well connected birthed her BMPRO in 2006 and has expanded her budding empire to about 65 products with distributors in Europe and America. Meshida-Lawal has worked with top guns like MBGN, Tiffany Amber and House of Marie and has created looks for countless editorial spreads locally and internationally. This brave young woman left behind a promising career in First Bank Nigeria where she was a portfolio manager in private banking to start up Style Me Africa, a media publication that is dedicated to showcasing fashion inspired by Africa. A Masters degree holder in International business, Kolawole serves as editor in chief of the fashion blog and has managed to power it to one of the trendiest hotspots for all things fashion. Daughter of veteran broadcaster Frank Olize, Jennifer definitely knows how to put on a show. She stepped out on her own big time in 2012 with her soar away revue, Music Meets Runway, which now holds annually and closes the fashion year by combining high profile music performances with the latest in couture. Music Meets Runway has been able to attract sponsorship from blue chip companies and patronage from some of the music and fashion industry’s biggest stars. Fashion insiders are already preparing for this year’s event. As they should be. Lakin Ogunbanwo is a prolific artiste and photographer whose portfolio is not afraid of showcasing visually provocative imagery of fashion culture in Nigeria. With each photograph, this 27 year old auteur pushes the envelope and creates new vistas for what can be done with fashion photography in Nigeria. Ogunbanwo’s work isn’t limited to high fashion photography and editorials, his classical portraits have appeared in publications like British GQ and he was recognised by the British Journal of Photography in their Ones to Watch issue. With a series of tweets, Lanre Da Silva Ajayi of the eponymous label prompted a spirited defence of her constituency and its important contributions to the country’s GDP, while kick starting a fierce debate at the same time. This spawned a mock showdown reality show, Game On with ex-Super Eagles star, Daniel Amokachi where she anchored the fashion team and mentored the young contestants. LDA’s latest collection, The Rock Delight, SS15 collection, inspired by the Olumo rock in Abeokuta, was showcased in Milan, Italy. Oluchi Orlandi is the Naomi Campbell, Tyra Banks and Heidi Klum of the Nigerian fashion space, all rolled into one slim, stunning package. After winning the inaugural edition of the Nokia Face of Africa at the tender age of 17, Orlandi has never looked back. She has enjoyed a career in top flight modelling, appearing for brands like the Sports Illustrated Swim Suit issue and Victoria Secret Fashion Show. She recently returned home to host and produce Africa’s Next Top Model, the regional franchise of the money spinning entity. Undoubtedly the most powerful woman in Nigerian fashion, Akerele held the 4th season of her Lagos Fashion and Design Week at the glitzy Federal Palace Hotels, with Guaranty Trust Bank returning as headline sponsor. The one-week fashion festival has now positioned itself as the most important style event of the year. A pioneer and fearless leader, Akerele is also creative director of Style House, a Style, Fashion and Image Consulting Company with years of experience in the fashion industry and publisher of the blog, Style House Files. The ultimate power stylist, Ms Ebie-Odeka worked extensively in commercial, print and high fashion modelling and was acquainted with top names Donna Karen and Armani. 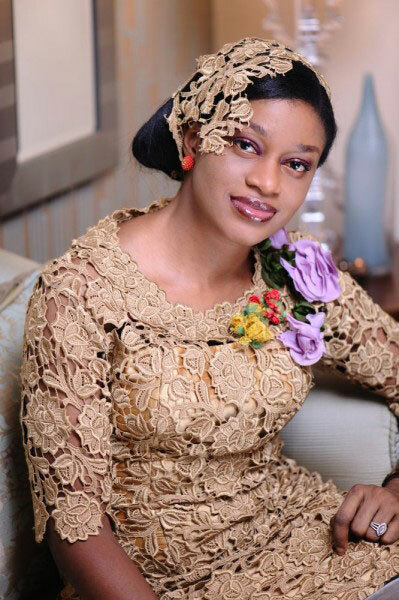 After receiving tutelage from celebrity stylist, Cassandra Walker, Ebie-Odeka moved back to Nigeria and set up shop. Her professionalism and excellent output quickly saw her gain access to the who is who in the Nigerian cekebrity scene. The official stylist for Moments with Mo’, Ebie-Odeka has also worked with Genevieve Nnaji and Tiwa Savage. She is the CEO of Vane Style, a top consultancy agency.